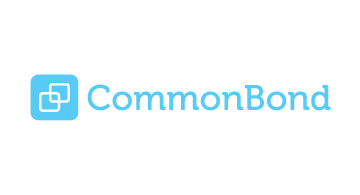 CommonBond is a leading online lender that uses data and technology to lower the cost of student loans. The company believes that student loans should be simpler, more affordable and more transparent. CommonBond funds and refinances student loans, saving its members over $14,500, on average, when they refinance. In addition to savings, CommonBond offers a simple application process and friendly customer service to deliver a superior experience. The company is the first to bring the "one-for-one" model to finance: for every loan funded on its platform, CommonBond funds the education of a student in need, through a partnership with Pencils of Promise. For more information, visit www.commonbond.co.